I have read your Guide to Psychology and your Chastity websites. A friend told me about them but there seems to be quite a difference in response to questions. Psychology shows empathy and concern while the other seems conditional and almost impatient with the process. Why is there such a difference in response? I think I want to be Catholic but these ideas might scare me away. Were you always Catholic? If not, what were you? I am LDS [Mormon]. Somehow your ideas dont seem Catholic. Sorry. No disrespect. es, psychology and religion are two very different approaches to life. Psychology has (or should have) the objective of nothing more than helping a person understand and overcome the unconscious conflicts that interfere with mental healththat is, such mental health as can be attained in a secular and largely pagan world. For each person, the process takes a unique course, depending on personal life-history. There can be no pre-conceived goals. All that matters is an honest encounter with inner experience. And for that reason everything possible must be done to encourage a person in the face of inhibiting fear. Religion is a different matter. It has very clear guidelines and objectives. Through its Tradition, the Catholic Church has preserved not just the Bible itself but also the very practices of Faith that originated with the Apostles themselves. Tradition has also grown and developed over time, not by changing with culture but by responding to it through absolute fidelity to the spirit of Christs own truth. Sadly, many Catholics today have lost all desire for the traditional devotion and detachment from the world necessary to practice a genuine Christian life. In fact, many Catholics today do not even understand what Christianity is really all about. 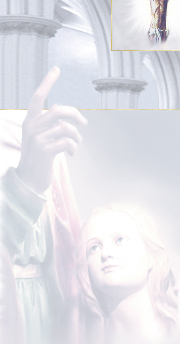 I created this website to teach the true faith as a prelude to the deep spiritual healing that far exceeds mere psychological healing. Consider, though, that many of the persons who write to me on this website arent asking for help and arent looking for empathy or concern. They complain that it is judgmental and lacking in compassion to speak to them about morality and sin. They write in order to challenge me, just as they unconsciously challenge God with their defensive resistance to His will. They challenge me because the hypocrisy they experienced in their families as children has led them to perceive God as cruel, unfair, and playing games with us. And yet, it was the parents who played games with the children. Thus the children, in an unconscious psychological maneuver called transference, shift their bitterness and frustration at their parents to anger and protest at the Church. Even youeven as you say No disrespectare really expressing a subtle disrespect for the true Church. You say its ideas frighten you. Of course youre frightened. Your parents didnt teach you anything about true self-sacrificial love and mercy. Instead they intimidated you. In those circumstances, who wouldnt be frightened of the Cross? But if you run from it, where else can you go? Now, I fully understand that many men and women in the Church are personally corrupt. They make it easy for those who want to point their fingers in blame. Just close your eyes and point, and you will find someone who is corrupt. But the real Church is pure; it always has been, and it always will be. 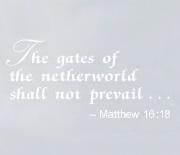 The gates of the netherworld shall not prevail. These miracles remind us that faith is the flesh of the Lord, and love is the blood of Jesus Christ. When Christ, who is the Way and the Truth and the Life, brought His Truth into the world for our redemption from sin, He paid a real price: His Passion and death. And so, if you receive Communion in true faith, you, too, must pay a real price for the truth of Christs Real Presence within you. You must pay the price of the total surrender of your self in taking up your own cross to follow Christ in the way of true love. And, believe it or not, when I came home to the Church I quickly learned that much of the persecution I have to suffer comes from other so-called Christians, both Protestants and Catholics. You, who are thinking of wanting to be Catholic, might keep that in mind. If you really practice the Faith, you will lose many of your current friends. And Christ warned us about that. If its all easy and smooth, youre not on the Way of the Cross, youre on the wrong road. Its quite a psychological task to show someone that he is on the wrong road. I know, because I was there on the wrong road myself for many years. My first confessiona general life confessiontook over three hours. Not as bad as Moll Flanders, but long enough. And many souls today, many of them already consecrated to Christ, are being lost, condemning themselves by their own behaviorby their own disobediencebelieving in their minds that they are doing nothing wrong, and refusing to listen to all the warnings that God, in his pure love, pours out on them. This love, which rules and governs our will in order that it may grow strong and firm to resist temptation, so occupies the affections and the intellect that they desire naught beside. The memory is engrossed, and the powers of the soul are satisfied, so that love remains her sole possessor and inhabitant, and she allows nothing else to enter there. Love exhales a continual sweet perfume, by which man suffers himself to be allured, and so powerful is this fragrance that however great may be the torments through which he passes to salvation, there is no martyrdom he would not suffer gladly to attain it. 1. This was the Eucharistic miracle in Lanciano, Italy, in the 8th century and now fully documented and scientifically examined. Medical analysis identified the tissue as human cardiac tissue, and the blood as the rare AB type, with the presence of hormones indicating intense physiological stress. For more information about documented and authenticated Eucharistic miracles, see Eucharistic Miracles from The Real Presence Association.